Earl is a Production Manager at SERVPRO Allegan, Barry County. He has completed our rigorous SERVPRO Employee Certification Training Program. This program teaches advanced cleaning and restoration techniques and how to properly use our state-of-the-art equipment. This training program also focuses on listening skills and customer service. Earl has a strong work ethic and is known around our office for his attention to detail. 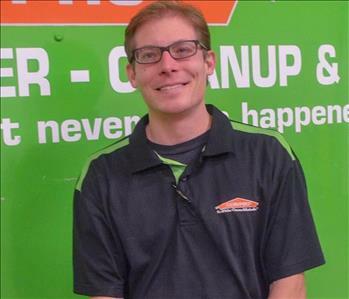 Chad is a Crew Chief at SERVPRO Allegan, Barry County. He has completed our rigorous SERVPRO Employee Certification Training Program. This program teaches advanced cleaning and restoration techniques and how to properly use our state-of-the-art equipment. This training program also focuses on listening skills and customer service. 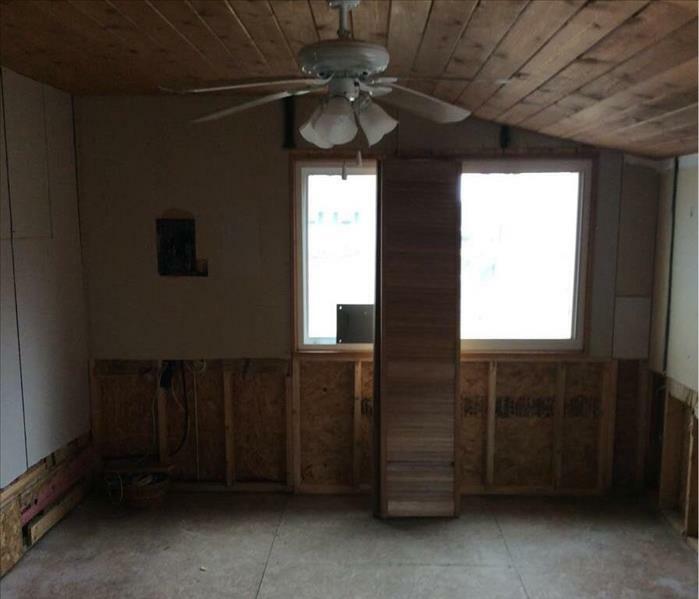 Chad is adept at troubleshooting and is a skilled worker. On his free time he enjoys being outdoors and fishing. 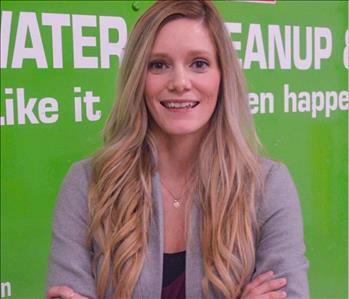 Emily is a production technician at SERVPRO Allegan, Barry County. She has completed our rigorous SERVPRO Employee Certification Training Program. This program teaches advanced cleaning and restoration techniques and how to properly use our state-of-the-art equipment. This training program also focuses on listening skills and customer service. 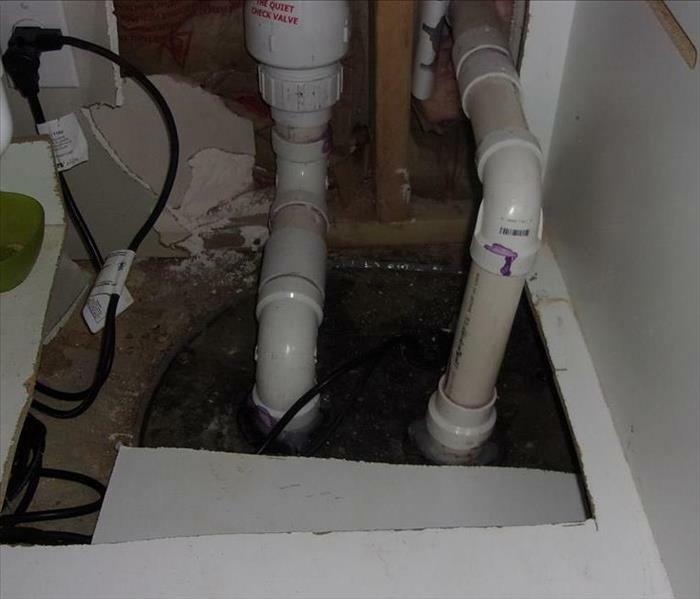 Emily is adept at troubleshooting and is a skilled worker. Emily is a dog mom to a beautiful Pitty named Sebastian. On her free time she enjoys being outdoors and fishing. Emerick (Emmie) is a Production Technician at SERVPRO Allegan, Barry County. He has completed our rigorous SERVPRO Employee Certification Training Program. This program teaches advanced cleaning and restoration techniques and how to properly use our state-of-the-art equipment. This training program also focuses on listening skills and customer service. Emerick has been with our franchise for 1 year. On his free time Emmie enjoyings being outdoors,disc golfing and fishing. Joseph (Joe) Loseth is a production technician at SERVPRO Allegan, Barry County. Joe has completed our rigorous SERVPRO Employee Certification Training Program. This program teaches advanced cleaning and restoration techniques and how to properly use our state-of-the-art equipment. This training program also focuses on listening skills and customer service. When Joe isn't working he enjoys reading, listening to music, and spending time with his cat. Nikki is our newest office member at SERVPRO Allegan, Barry County. She has completed our rigorous SERVPRO Employee Certification Training Program. This program teaches advanced cleaning and restoration techniques and how to properly use our state-of-the-art equipment. This training program also focuses on listening skills and customer service. Nikki is adept at troubleshooting and is a skilled worker. She has 5 year of experience as an adjuster and 1year in project management. On her free time Nikki enjoys spending time with her family.